We love our furry friends, even if their coats incessantly shed all over the place. 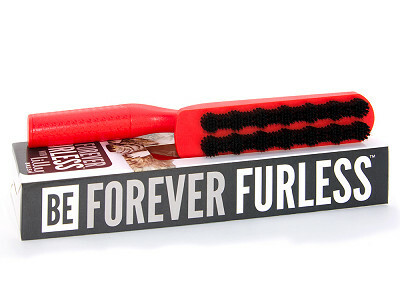 When you're covered, just brush lint off with the Be Forever Furless tool. Designed by Lilly Brush, the Forever Furless’ densely packed nylon bristles trap particulates, while the ergomically designed handle makes it easy to swipe in any direction. It also captures human hair, household lint, and even sweater pills, too. With no annoying rolls of sticky tape to peel, this reusable brush cleans easily with just a rinse at the sink and will work for years to come. Use it on apparel, upholstery, carpets, bedding, car seats, or any surface where Fido has left reminders. 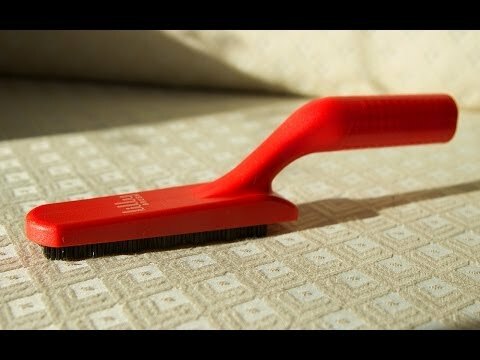 Featured in a New York Times' story on “well-equipped pets," this picker-upper will quickly sweep away unwanted pet hair with the flick of the wrist. Hi! Elsie here, from Lilly Brush Co., LLC. We are super excited to be launching our new BE FOREVER FURLESS on The Grommet today! Designed with the help of one very furry and lovable rescue dog named Lilly, the BFF brush is ready to rescue you from pet hair and muddy paw prints everywhere. If you have any questions you’d like to share, Lilly and I are standing by and would be happy to chat. Thanks for taking a look. Have a great day! Hi Elsie! Great idea! The video shows that a rinse in the sink cleans out the brush. Is there another way to clean it? I don't want pet hair in the sink. Hi Elsie! Love this product! 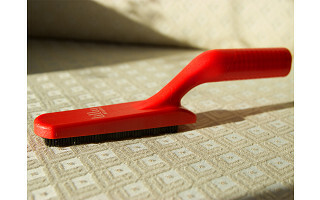 Could you please tell me if this brush is successful at removing pet hair from microfiber sofa's as well? 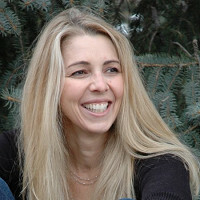 @Elsie Hi Roseann! Yes, it does work on microfiber. My bet beds are microfiber, and the BFF picks up the pet hair really quickly and easily on them. Thanks for asking! This looks great! It's hard to tell from the video/photos though- how gentle would this be on clothing? The description mentions clothing once, but seems like it's a little more abrasive and would be best on bedding, furniture, or jackets (i.e., not shirts, dresses, etc.)? Does this keep it's ability to pick up hair over time? Meaning, does it lose effectiveness after a few months or so? Can you use this on the pet as well, to get loose hair? Is this a new product version? The one on your website appears to have only one row of bristles and is listed at 12.95. Because I live in a multi-cat household, I want to be sure I purchase the best option. Elsie, nevermind...I see you answered this above. Hi Elsie! We have two long hair cats and getting the fur off the cat tree and our furniture is always a challenge. Your BFF brush looks great. Will it work well on the short carpet type nap on the Cat Trees? This was featured in my email and listed as a recent launch. I tried to order and there is no place to put my payment information or to place the order. Now I see at the top it says out of stock. When will these become available again? It should be back up and running now for you to purchase. Let us know if you are having any trouble. Thanks! Are your brushes manufactured in the USA ? If not, what countrys are they manufacture in ? 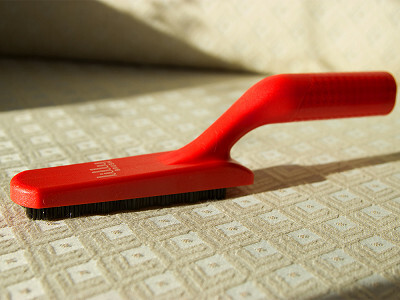 @Joe Hi Joe, Lilly Brush is manufactured by an American company with manufacturing plants in both the US and China. Our brushes are manufactured in China. Please see my reply to Rod for more info. Thanks! Hi Elsie, good product! Thanks. Why is this item has to be made in China? Frankly, For been made in China it should have a better price. @Rod I was going to buy one until I saw your post that it's made in China. I won't be purchasing one now. @Charlotte Hi Rod and Charlotte- I tried to get them manufactured in the US! I called tons of US brush manufacturers capable of making what I was looking for, but because I wasn't a big fish to them, they had no interest in even discussing this project with me...until I called the Malish Corporation in Willoughby, Ohio. They took my call, and worked with me every step of the way to make sure that the design I had in mind, and the quality I wanted, was what I ended up with. Malish has a large manufacturing plant in Ohio, and also one in China. They are everything an American company should be, and I am proud and very grateful to be able to work with them. They took a chance on my wild idea when no one else in the US would. Thanks for your input. Does it work on human hair? We love our furry friends, even if their coats incessantly shed all over the place. 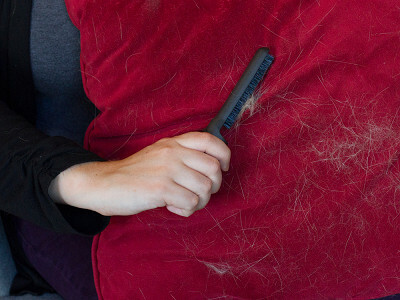 When you're covered, just brush lint off with the Be Forever Furless tool. Designed by Lilly Brush, the Forever Furless’ densely packed nylon bristles trap particulates, while the ergomically designed handle makes it easy to swipe in any direction. It also captures human hair, household lint, and even sweater pills, too. With no annoying rolls of sticky tape to peel, this reusable brush cleans easily with just a rinse at the sink and will work for years to come.